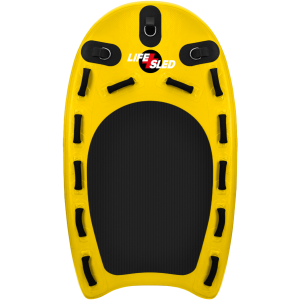 The LS1 LifeSled® rescue board is used with PWC (personal watercraft) in extreme conditions including ocean storm, surf rescue, tow-in surfing, rip currents, floodwaters, rivers, swift waters, ice rescues, and other critical, life-threatening situations. 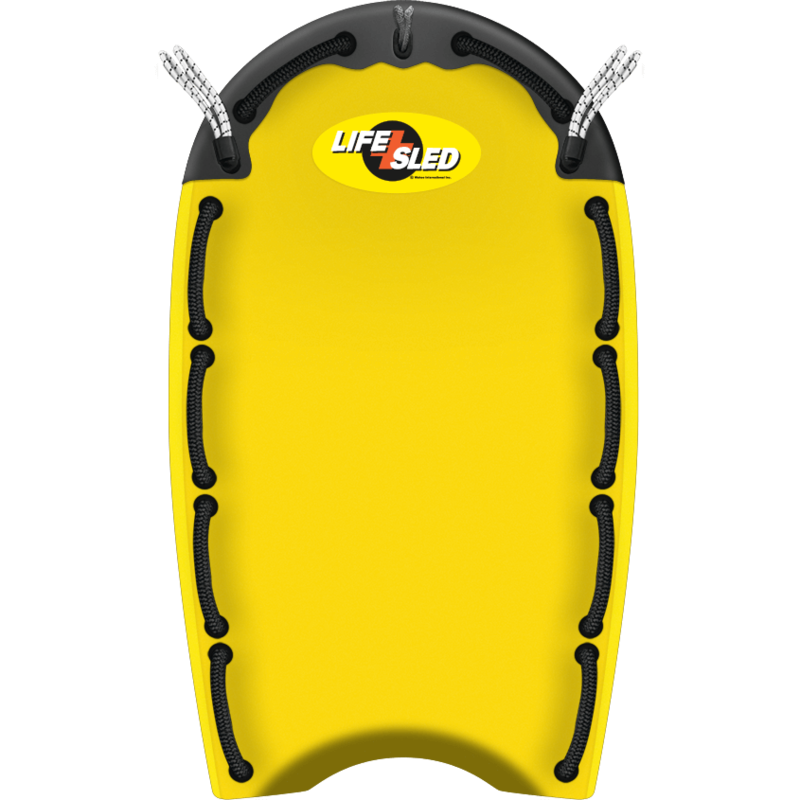 LifeSled PWC rescue sled is an extremely effective means of extrication. Each ocean rescue board benefits from over 28 years of research and development by life-saving professionals, big wave surfers, and the finest watermen on the planet. 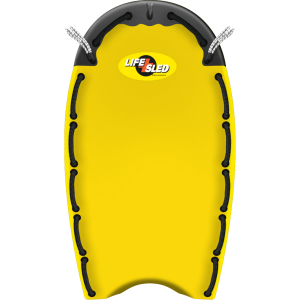 Built to outlast any other PWC rescue sled on the market, each solid-core lifeguard rescue board is equipped with a proprietary aluminum stringer system designed to carry in excess of 450 lbs more than the fulcrum of the PWC’s transom. 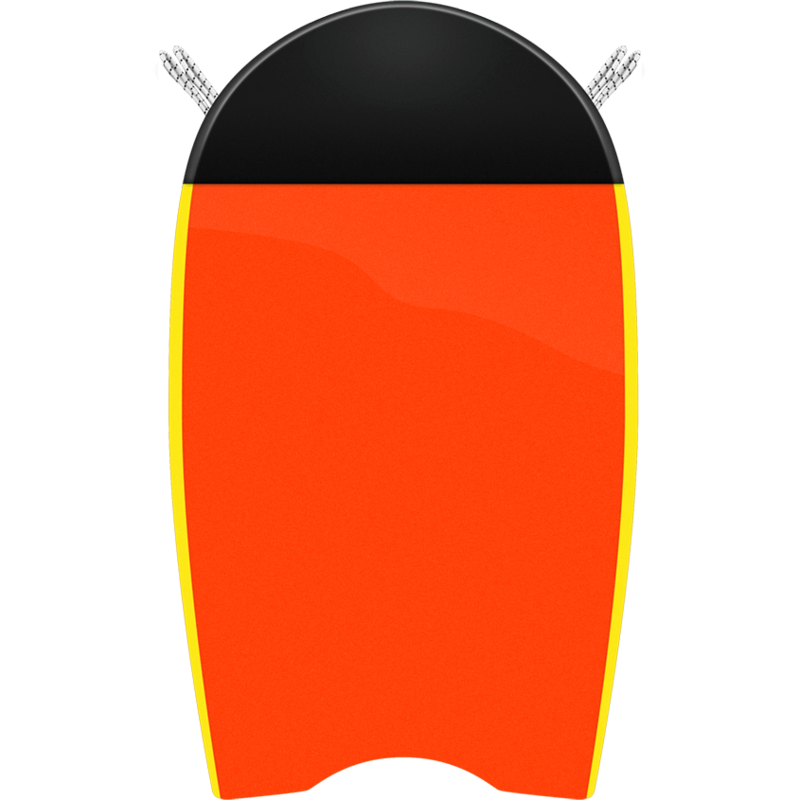 For best performance, we recommend using one of our transom adaptors to attach your LifeSled rescue board to your PWC. Our handles are internally and externally fiber-reinforced and have a 750+ pound break strength. The LS1 has ten 9.5″ handles and the LS2 is fitted with twelve 9.5″ handles. These tacky-when-wet handles allow a victim to be carried like a backboard. Flexible enough to allow a victim to be hoisted over yet still firm enough to fence them in. These handles were designed to be ultraviolet and weather resistant without extraneous shrouds or screws. This extremely impact-resistant nose guard is custom molded from UHMWPE (ultra high molecular weight polyethylene) and will not warp under the heat of intense sunlight. Each nose guard is designed with extreme compressive strength in mind and abrasion resistance for long wear.